This Cavanese nicknamed Rascal sold and went to a new family. 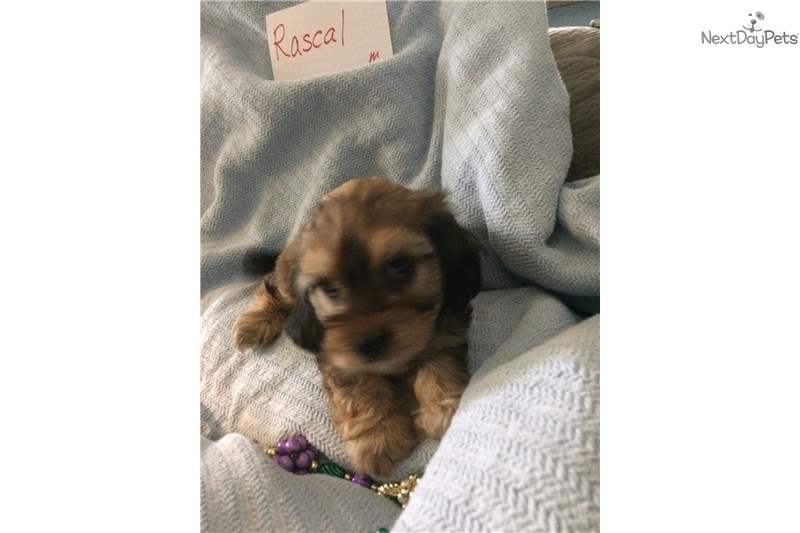 Rascal is a Cavanese, his mom is a black and tan AKC King Charles Cavalier and his dad is an AKC blond Havanese. These puppies are hypo-allergenic, super soft and fluffy. With the Cavalier's loving disposition and the Havanese playfulness and healthy hearts, these puppies will make long time loving companions. 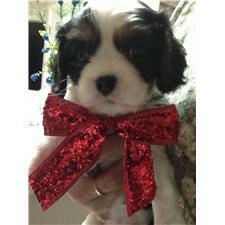 You will fall for this puppy at first site and spend fun time on walks and cuddling on the couch. We ask that you have a secure backyard and that someone human or a pet friend is home with the puppy most of the time. Please call or text for more info. We are hobby breeders in San Antonio and our dogs live indoors with us all year round.